Mathilde Kscessinska is a fascinating subject through whose eyes the reader can explore the fall of tsarist Russia. As a member of the Imperial Ballet and daughter of well-respected Catholic Poles as well as the mistress of Tsar Nicholas II and at least two other members of the imperial family, she had a unique point of view for the fall of the empire, particularly as she also had the benefit of hindsight from her Parisian exile. Sharp excelled in creating Little K’s voice. There was a sort of learned regal quality to her thoughts, a self-aware verbosity that spoke of a women reaching to achieve a higher station. Occasionally this resulted in mild distraction, such as when commas extended sentences far too long, or when Little K would digress into future events while telling her story. Still, overall it was done to good effect. Although some of the more minor characters are easily confused, Little K’s story is a dramatic and interesting one that is told well. Recommended. 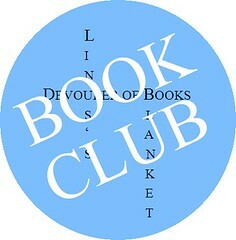 Source: Publisher for BOOK CLUB.